Over the last several months, and for months to come, I’ve been interviewing authors who have self-published their work or have published through small publishing houses. From each, I’m amazed by the mission behind each book and the hopes of the author to share a theme. I have learned something valuable from each – and the trend continues this week with Virginia Ripple. If you are a fan of fantasy and also appreciate authors who include their faith, then Virginia’s books are certainly for you! 1. 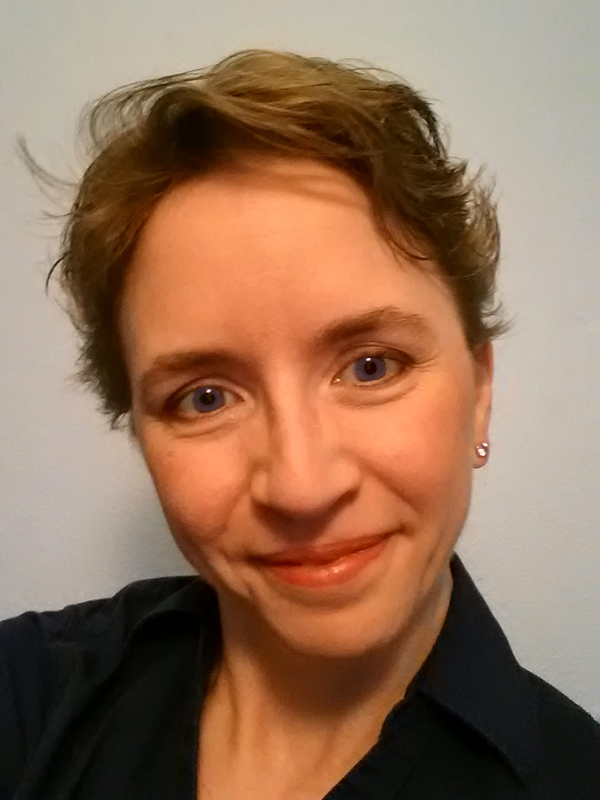 In your biography on your website, you shared something that really struck home – While working part-time as a Religious Education Director and writing the other half “the teeter totter of passions unbalanced” your life and you found yourself writing less. Many people reading this will find encouragement that they are not alone in feeling frustrated with not having enough time to write. What changes have you made to your life-style, your career, and your passions that open up the 24 hours to more writing time? I learned a lot during my time in ministry about what it means to be Called into God’s service. Sometimes others see our hard work and think, “Wow! She really has a heart for (fill in the blank). She should do it full-time.” If we’re not aware of what our true purpose is, then we might go along with their well-meaning suggestion and then suffer because we’re not doing what God planned for us to do. It took me the better part of seven years to figure that out and another four years to understand what doing my particular ministry meant in terms of what I spent time on. I’m still learning and evolving as a servant writer, and sometimes I fail miserably, choosing to do something as mundane as doing a marathon watch of a particular television show instead of spending that time working toward the goal of producing another book. However, I now divide my work days between writing (and all those things involved in being an indie author) and the daily tasks I need to do in order to live like anyone else, such as going to my part-time day job. No matter what self-imposed deadline I have, though, I make sure to spend the evenings with my family and force myself to leave writing in my office during the weekends, especially Sundays. I take my Sabbaths seriously, because without that rest, we can’t accomplish what God has planned for us. 2. 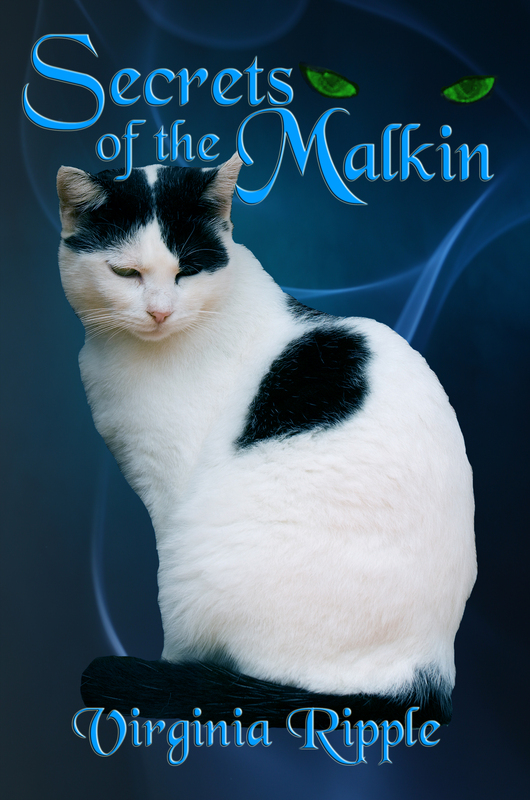 Tell us about your novels, Apprentice Cat, Journeyman Cat, and Huntress of the Malkin. When I was in seminary, trying to find ways to make a little extra money so we could survive, I was naturally drawn back into writing. Although I wrote several short stories (none of which ever made me any money, btw), one stuck with me. The story was about a young tom who had entered a Harry Potter like magic school and was paired with a human that never wanted to do his homework like he was supposed to. This human always wanted to race ahead of what he was being taught and it constantly got the pair into trouble with the head masters of the school. It was just a scene, really, nothing very deep or meaningful went on in it, but for some reason, Toby and his partner Lorn kept coming back to me whenever I sat down to write anything new. Flash forward a few years to just before my eldest was born and I decided to dive into this new thing I’d heard about — self-publishing. It was no longer a vanity thing. People were actually making money. Ereaders were starting to become a big thing and I thought, “What have I got to lose?” Still, I didn’t know what I could write about and I was still trying to figure out how to blend my desire to write with the Call I felt on my heart to serve in ministry. The first book I wrote was actually a Bible study, something that came about from a need my church had for an adult VBS class. I’m glad I did it, but it wasn’t as fulfilling as I’d hoped. I was left wondering if I would ever find that balance. Then one night, as I was going through some old stories, Toby padded into my life again. Why couldn’t I expand his story? Of course, the original didn’t have any of the Christian hallmarks. It was straight fantasy. But who was to say it couldn’t become a Christian fantasy? So I started working on it. It took a year and a half to finish, but when it was done, the pieces sort of fell into place. Now I knew how to blend my Calling with my passion. Since then, I’ve worked toward weaving Christian themes into each of my books. For instance, Toby’s story is ultimately the story of learning forgiveness. This tom has a lot of tragedy to deal with from the disappearance of his father to the terrible thing that happens to his mother. Add to that the things he himself must do in Journeyman Cat, things his very soul rebels at, in order to complete his mission and you have a cat that has much to learn about forgiveness — for himself and others. In Master Cat, we get to see how all this weighs on him and what he must ultimately do for his own spiritual peace. 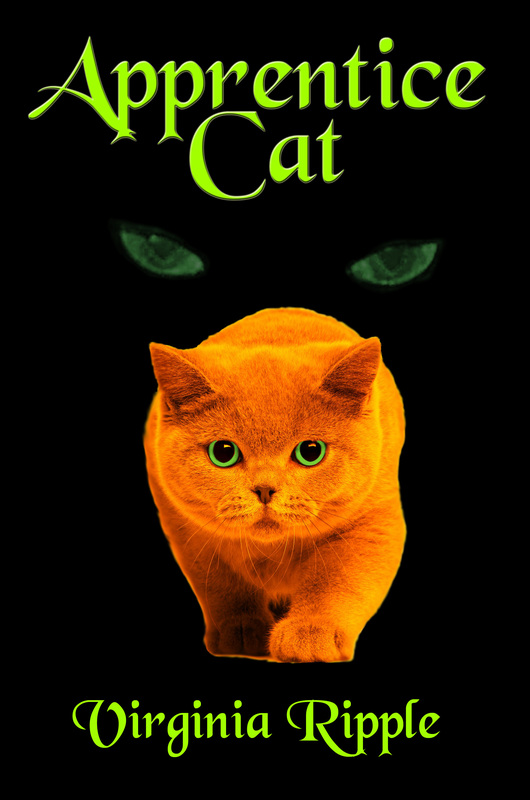 Nadine’s storyline is about taking a timid she-cat and showing her how to follow the path God has planned for her. She’s expecting someone else to solve the problems she sees around her in the post-plague world. God, on the other hand, has a different idea of how it should be dealt with. In many ways, both these characters are living out and working through issues I’ve dealt with myself. I wish I could say I’ve come out on the other side of these challenges and now I know exactly how to face all the problems life throws at me, but I’m still learning. I think that’s part of this whole ministry. While I’m serving God and, hopefully, helping others find a way to work through their own life challenges, God is working in my own life, changing me in ways that make me more like the person God knows I can be, the one God wants me to be. 3. The pool of Christian Fantasy writers is sadly, quite small. Does this fact provide an obstacle or a boon to publication and marketing success? I don’t write what’s considered typical Christian Fantasy. Generally speaking, magic is frowned upon in Christian literature, so what I write isn’t always deemed acceptable in those circles. However, fantasy, with magic and all the other bits of wonder it includes, is what I love to read. Growing up, it was nearly impossible to find Christian Fantasy with those fantastical elements in it that didn’t seem childish at best. Yet, the regular fantasy lacked the positive world-view I yearned for. It wasn’t until I read about how C.S.Lewis and J.R.R. Tolkien wrote their wonderful stories and called them Christian that I began to see that there was something more. I don’t know that I’ve ever seen Lord of the Rings labeled as Christian Fantasy, but, according to Tolkien, it is. I think it’s a disservice to Christian Fantasy as a whole not to call a story what it is, but often, for one reason or another, what would otherwise be labeled as such is simply stuck in the pot with all fantasy. I know other writers who do that because they fear they won’t sell as well with the Christian Fantasy label, which is a shame. The niche I’ve chosen is smaller, but so are the sales. That means that, while it might be easier to find in the CF category, most of my sales will be primarily from people who are acquainted with me or that niche. As with all things in life, you thank God for the good and ask God to help you meet the challenges. 4. Imagine you are standing in a room of young people that have just read your book. One of them asks who inspired you to write. What is your answer? I’ve always been a story-teller, so I don’t know who my original inspiration was. However, every author I’ve read and movie or television series I’ve seen has influenced the progression my writing has taken. In high school, I read a lot of Mercedes Lackey’s Valdemar series. Her book , By the Sword, particularly inspired me to write in strong female characters. I don’t create shrinking violets or male-dependent love interests. My characters have their flaws, yes, but it’s usually not the screaming meemies or the weeping willows. The Christian turns in my writing were heavily influenced by Frank Peretti’s This Present Darkness and Piercing the Darkness. Both of these books scared the daylights out of me when I was a kid. I loved the depth and reality of the spiritual forces, as well as the nail-biting “will he/she survive this encounter” as the characters faced the opposing human force. The best part of either of those books was the enduring hope you’re left with at the end. God loves us no matter who we are or what we’ve done. It’s a message I hope readers pick up in my works, too. The mystery elements of my writing come from various mystery books and shows from the Joe Grey mysteries to Sherlock on BBC television. And I have to admit that Toby’s story originated from my fascination and love of J.K. Rowling’s Harry Potter. That’s not to say I tried to mimic her wonderful world, but I did borrow a few things for Apprentice Cat, like the magical boarding school idea and the beloved head master taking a student under his wing. 5. What is your writing process/schedule? Or what have you tried and revised? Speaking personally, I’m always looking for new ideas and am eager to learn from those who have succeeded. What have you tried, what didn’t work, and what does work for you? At first I tried to cram everything into whatever free time I could carve out for myself. That’s a recipe for frustration and procrastination. After my eldest was born, I tried squeezing it all in a scheduled hour or two before spending time with my husband just before we went to bed. That led to being over-tired and cranky. After my daughter started half-day’s in preschool, I was able to get four solid hours of work done before I had to go to my day job. This, so far, has worked best, especially since I pretend that I’m going to a regular 9 to 5 job as soon as I walk in my front door after dropping her at school. On my days off from my day job, I spend the mornings doing the highest priority work, like drafting or editing the next book, and the afternoons on more business tasks, like marketing and administrative tasks, and research. The next step I took was purchasing a Galaxy Tab 10.2 in 2012 with a bluetooth keyboard. That has been the best business purchase I’ve made to date. I can now extend my writing time to the afternoons at my day job and kill the down time between customers with some massive productivity. In fact that’s what helped me win the 2012 and 2013 NaNoWriMo. Combined with my smartphone, I can work on both writing and business anywhere, anytime. As for the actual drafting of any of my books, it wasn’t until I read James Scott Bell Plot & Structure and Conflict & Suspense that I really got the hang of it and the process got faster. I’m a plotter by nature, so Bell’s various ways of plotting made getting my ideas down so much quicker and efficient. And while the old adage “chase your character up a tree and throw rocks at him” might be one way of creating suspense and conflict, it just didn’t make sense to me. It wasn’t logical. When I read Bell’s Conflict & Suspense the “ah-ha” moment arrived with a giant Acme lightbulb. It’s not just throwing your character into challenging situations; it’s about finding the tension point — the “what’s the worst that could happen” moment — and then building the next scenes from that. I highly recommend both these books to anyone wanting to stuff some more tools in their writer’s toolbox. 6. Many writers, especially those just starting on the path to authorship, have a glossy image of what it means to write, edit, and publish. What did it look like to you when you started writing your story? And what does it look like now? I sort of had this “If you build it, they will come” image in my mind. I wouldn’t say that’s a bad thing because if I’d known then just how much work getting in front of an audience is, I might not have finished Apprentice Cat. Since then, I’ve discovered there’s a lot of behind the scenes stuff that goes on for an indie author to succeed that has nothing to do with writing or editing. The writing and editing, for me, is the easy part. It’s the marketing and social networking that’s tough. Over time, though, I’ve managed to make some great friends who have helped me figure it all out and who continue to inspire me to greater things. 7. You also have written two bible studies titled, Simply Prayer and Fear Not! Discovering God’s Promises For Our Lives. Who would benefit from these books? Why did you write them? Fear Not! Discovering God’s Promises For Our Lives is a basic Bible study I put together when I was asked to teach an adult vacation Bible study class several years ago. Someone wanting to get a deeper understanding of the scriptures might find it useful, especially after doing the meditation exercises, which I designed with different learning styles in mind. I’ve posted several of the lessons on my blog for people to use for free. It’s part of my mission to aid others in developing a closer relationship with God, and I believe accessing the scriptures is an integral part of doing that. That’s one of the main reasons I wrote Fear Not! and later Simply Prayer, which is a guidebook on different methods of prayer and what real prayer looks like. When it comes to knowing God, people often see not a loving Being wanting to have a close relationship, but rather the white, bearded man on the Sistine Chapel. I would like to help others realize there’s more to God than a wrath-filled judge or magic genie. 8. Please share a quote or saying that inspires you. If you have two, share two 🙂 We can all use more inspiration! In our hurried lives, we so often forget to breath. I love this scripture because it reminds me that stillness is part of balance, that to hear God, we only need to quiet ourselves and listen. I suppose that’s why I love the labyrinth my husband mows into our backyard every year. It offers me a chance to find a moment of quiet in the middle of the rush of life. If I had one wish, it would be that everyone could find a quiet place they could retreat to every day. 9. You blog is a eclectic collection of thoughts, scripture, writing and marketing tips. I noticed you do a ‘Wordless Wednesday’ post, which I really enjoyed! How has blogging contributed (or not) to your writing, marketing, and in building a platform? My blog has evolved over the years as I’ve worked to discover how my Calling could reach out to others. As my tagline suggests, it is a glimpse into the heart of one of God’s servants. For a while, I spent so much time on the blog, I lost valuable time producing books. It wasn’t until I realized how unhappy I was that I decided to slow down and re-think the direction I was taking. About two years ago, I decided to switch gears and blog irregularly, focusing mostly on book reviews, as a way for my readers to find good books to read and as a service to other writers. I struggled during that time with a desire to do what would be called sermons in an church setting. I didn’t know how to go about it or even if it was worth doing, not to mention the fear of letting the world hear my voice outside the pages of a book or blog post. Then this year, I decided to take the plunge. I researched podcasting methods and drew up a plan for a once a month inspirational message. I also added the monthly Bible study. I don’t know the exact numbers for my audience on those particular posts, but the number of downloads have been promising. To me, that says I’m on the right track for building a platform that will help me reach out to others who are hurting or simply want to see God in a slightly different way. I’m always looking for new ways to show God’s love to people, so I’m sure my blog, as well as my newsletter, will continue to change and grow. I think that’s what’s important. Do what you’re Called to do and the rest will follow in God’s time.